Got to tell you, yesterday was extremely fun. The 78 mile trip seemed so long getting there, even with the red hued Sun poking out of the morning haze as I crossed the Sunshine Skyway Bridge, but I was on my first mission of the Spring. I always look forward to the first day of workouts. 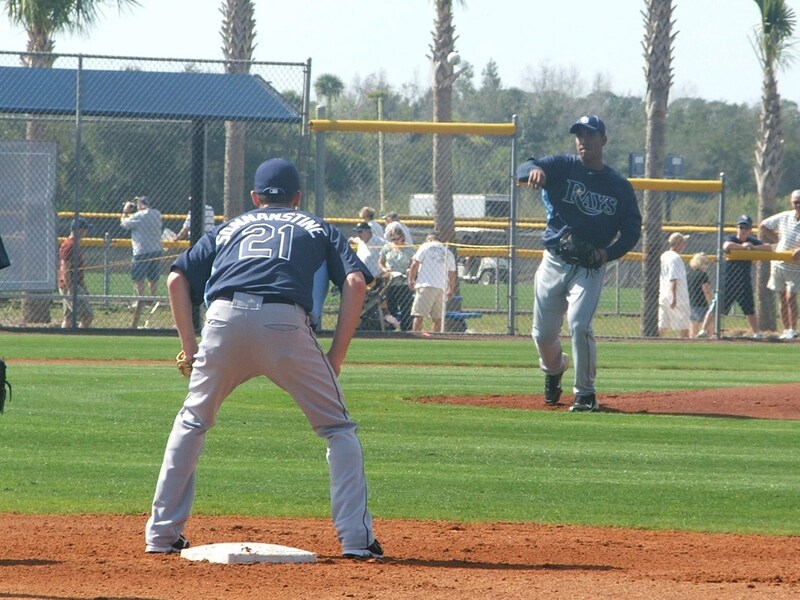 Punxsutawney, Pa. might have their “Phil”, but when you finally see Rays First Base Coach George Hendricks pop out of the clubhouse and begin his strut to the field….It is a true sign of Spring. 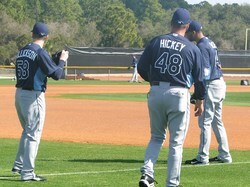 Along with the usual classic Spring Hendricks sighting, I got a special gift to begin the 2011 Rays baseball season. 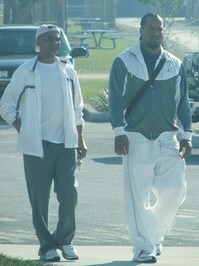 A first glimpse of Manny Ramirez dressed in a blue and white track suit walking towards the Rays clubhouse with his father. 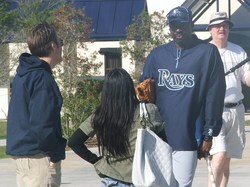 A half hour before the first glimpse of Rays blue this Spring we got some “Manny” time, and I totally approved of it. Sure I might have only had a second of chatter with ManRam, but he seemed all business and ready to roll. I like that in a player. 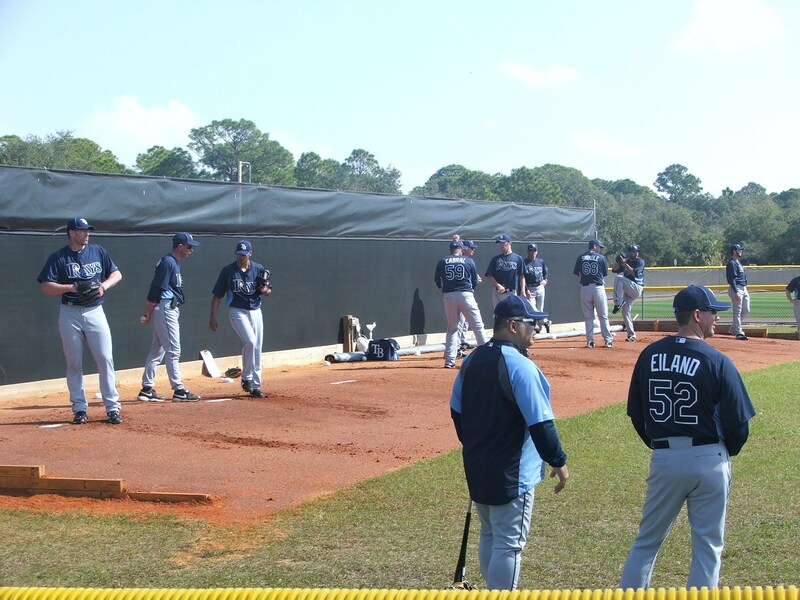 As if they were all wearing precise Swiss chronological devices, at the chime of 10 am, the rolling doors on the west side of the Rays clubhouse opened wide up and out cam our Florida “Boys of Summer”. I was extremely psyched to see the familiar faces, and also finally face to name of some of the new arrivals through trades and minor league signings. I got my first “official” Garfoose signing, got to also take in the mini dreadlocks look of young pitcher Chris Archer. 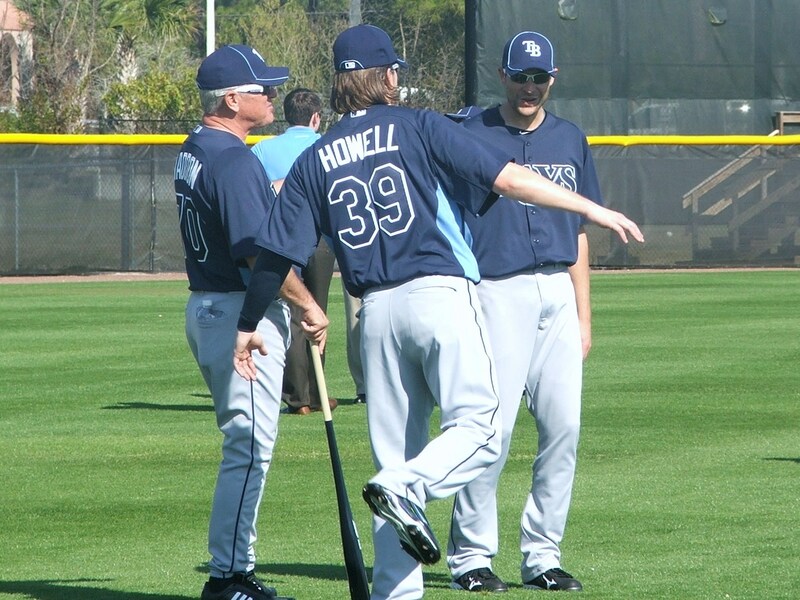 J P Howell strolled out looking thicker in the shoulders and new Rays Adam Russell just looked like a seaside condo. 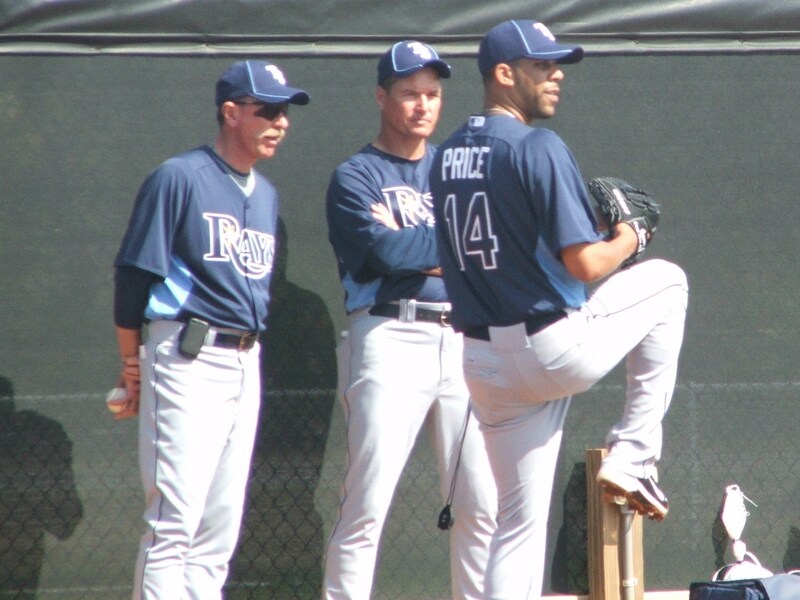 But the playfulness was also at hand as leftie David Price made a hovering newspaper writer his personal bubble gum holder and other veteran Rays pitchers began to make the round trying to place names with faces on this first day. 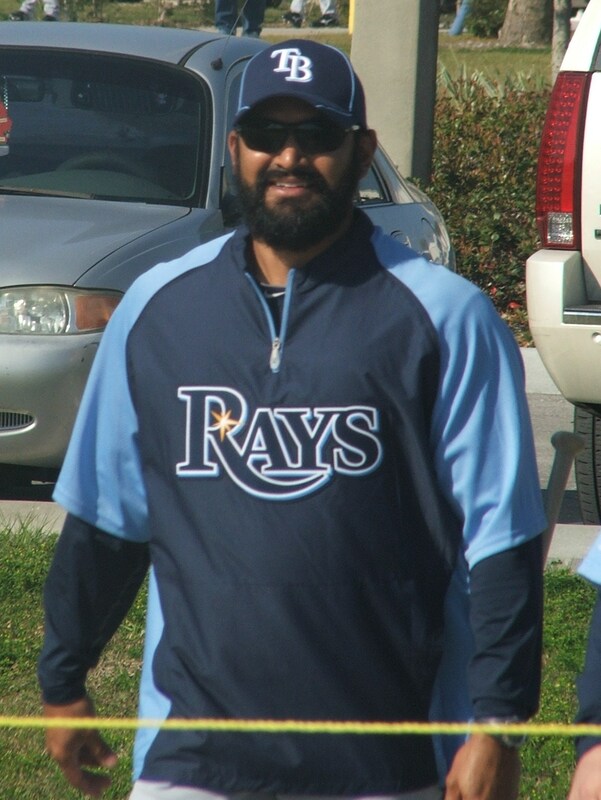 One of the most interesting moments was seeing Rays Bench Coach Dave Martinez come out in full “Caveman” fashion with a full-blown beard and a swagger. 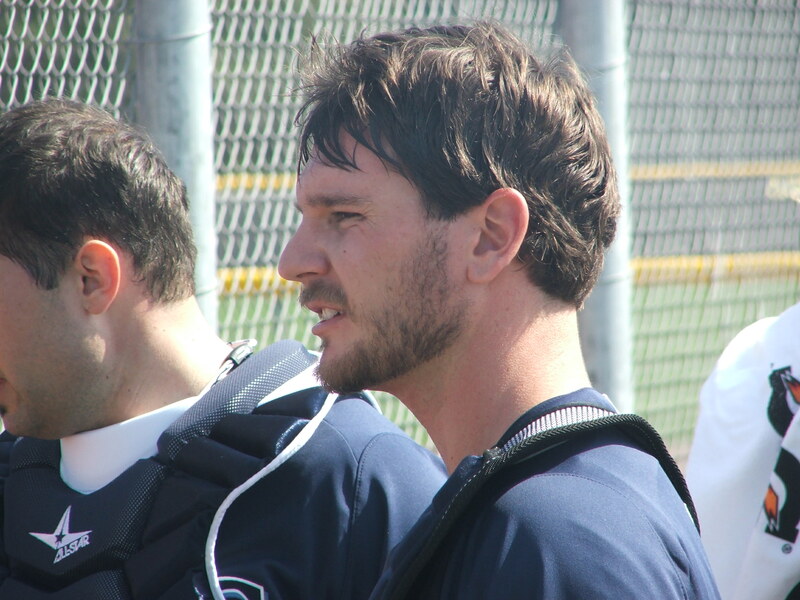 Rays catcher John Jaso also carried a few more whiskers than usual after his 2010 off-season adventure in the land of the Mayans. I was actually afraid Jaso was going to be speaking in Mayan or Spanish when I first talked to him. 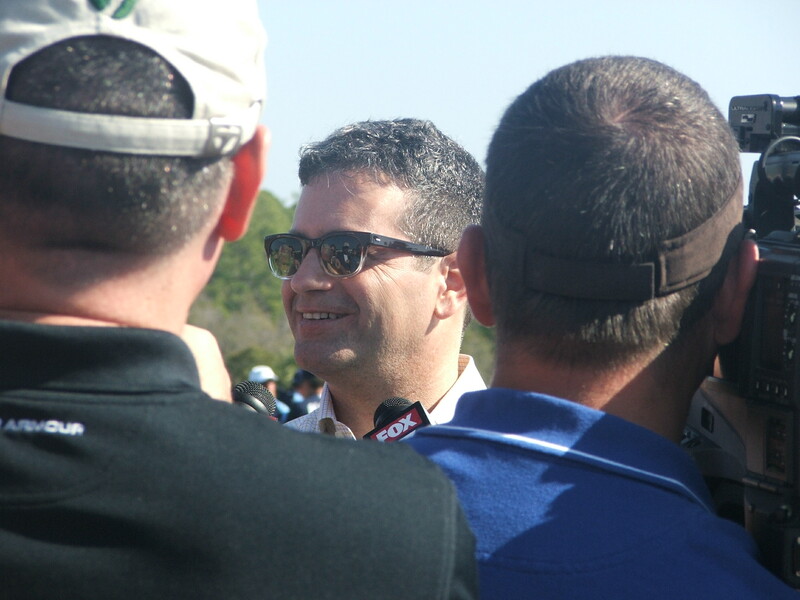 Rays owner Stuart Sternberg also made his yearly pilgrimage down to “meet with the troops” and make his yearly confessional to the Tampa Bay media. Sternberg was more than candid on his optimism for the region, and emphatically told the assembled masses he has not been approached by “outside” communities wanting to entice the Rays away. Sternberg did not wear his usual Caroline Blue sweater vest that had become a bit of a Tampa Bay tradition on the first day, but his smile and to the point remarks made it clear his intention was to work in harmony with this region towards an eventual stadium situation. 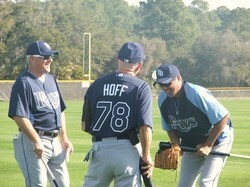 As Rays skipper Joe Maddon took his assembled army on the path of what is expected this season. Another Way” was a phrase used often and with emphasis in his lecture. 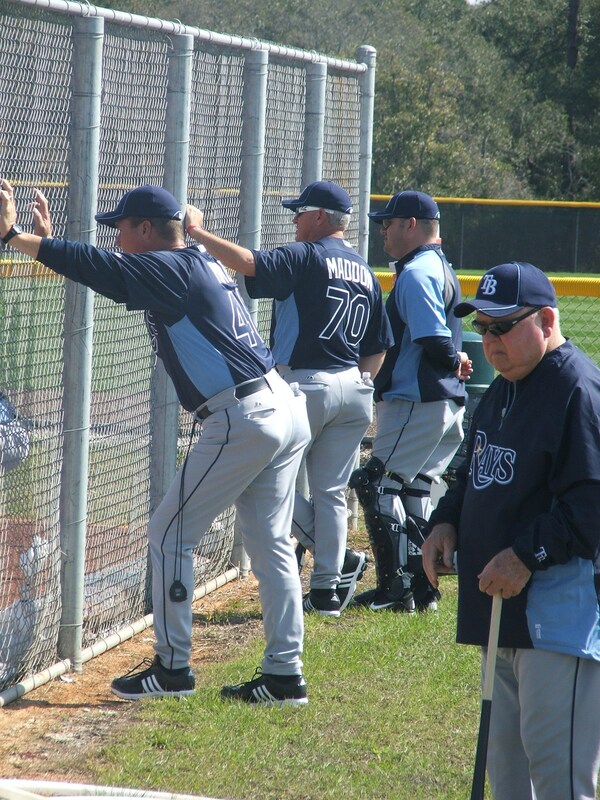 That energy and vibe also carried on to the fence line as Rays fans watched as the Rays pitchers and catchers stretched, ran some agility drills, then went into their pitching group for various other exercises and eventual running. But this was the day to hear the hard popping sound of the ball striking the mitt leather. This was the day for the franchise to again find the pieces of the puzzle and assemble them in such a way to possibly prove everyone. 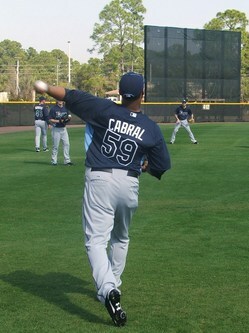 I was looking forward to see the pitchers’ throw for that first time. To see what kind of slide and dice Hayhurst had on his pitches, or see the great break on his fastball that archer is famous for in Team USA circles. 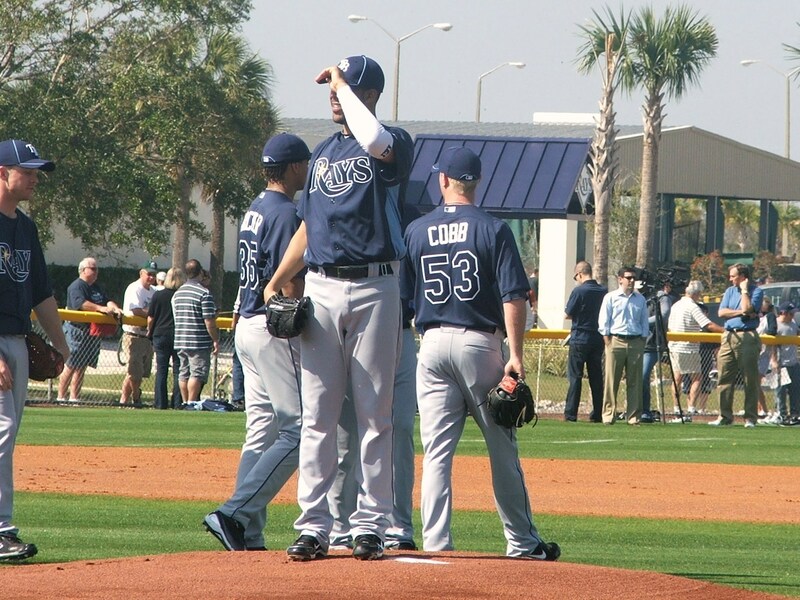 But it was also time to see Rays minor leaguers like Alex Cobb, and Rule 5 pick-up leftie Cesar Cabal throw for the first time in the Major League camp. I like the drop on his pitches, and he could be a real underdog to possibly taking the left-hand specialist spot in the Rays Bullpen. 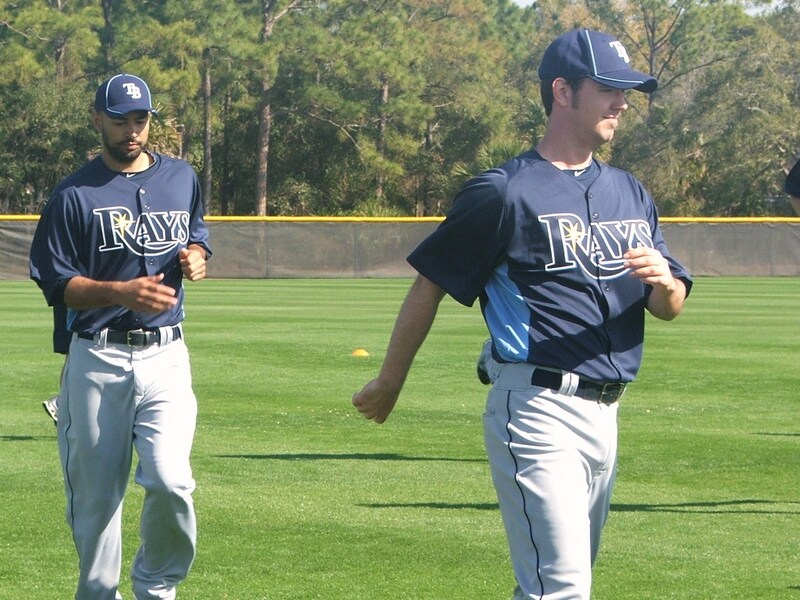 I honestly think he will be given every opportunity to make this Rays squad and be a significant member of this rebuilt Bullpen. Most came out to see the guy that is sure to have his say in who will be the last pitcher on the hill. 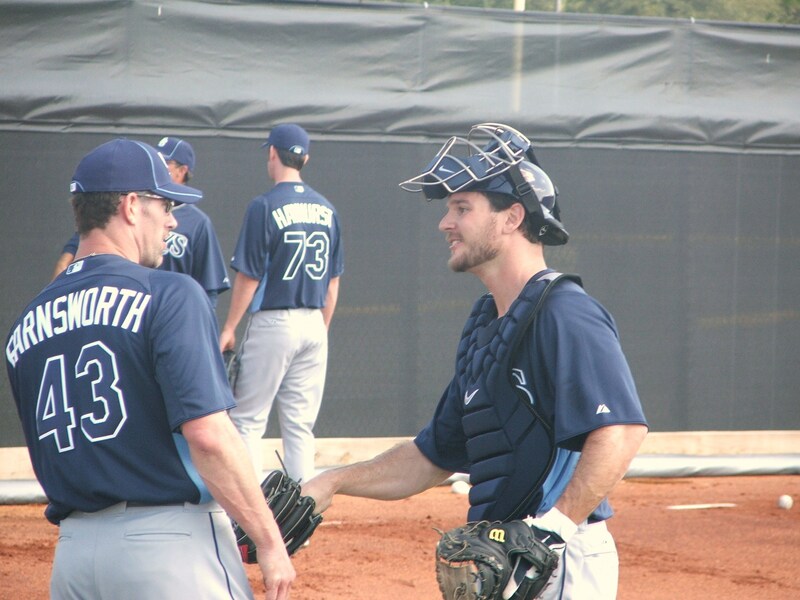 Kyle Farnsworth did not try to elude his intimidation factor one iota today as he made sure to pop the glove and stare in on every pitch to Jaso during their first side session together. As they finished, Jaso made sure to go out and shake Farnsworth’s hand. First day impression means a lot to me. Maddon has already left his mathematical equations and rhymes at the door and went with the eloquent and to the point “Another Way” mantra for 2011. Somehow I see it being done another way. 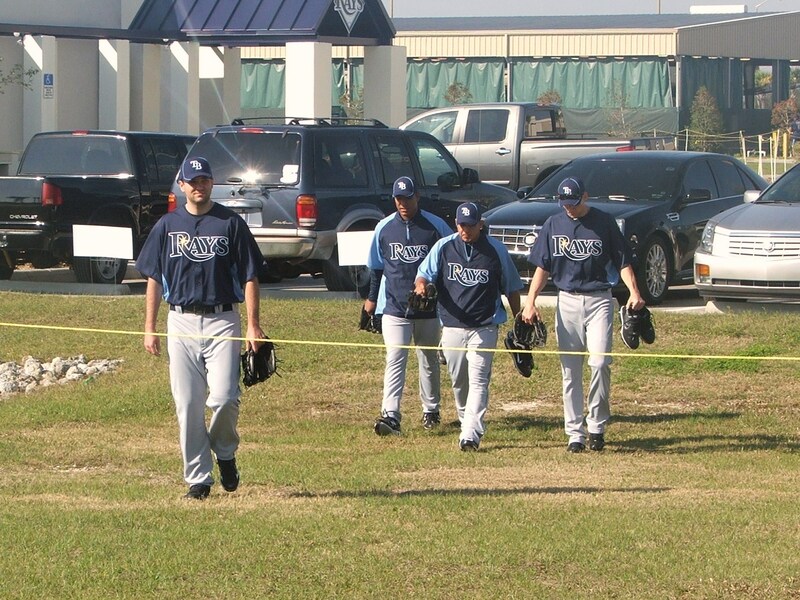 I can fully imagine and see immediate success in the 2011 twists and turns in the “Rays Way” as it is modernize to fit the 2011 goals and aspirations, to incorporate this young bunch of impressionable youth with seasoned veterans like Ramirez and Johnny Damon. 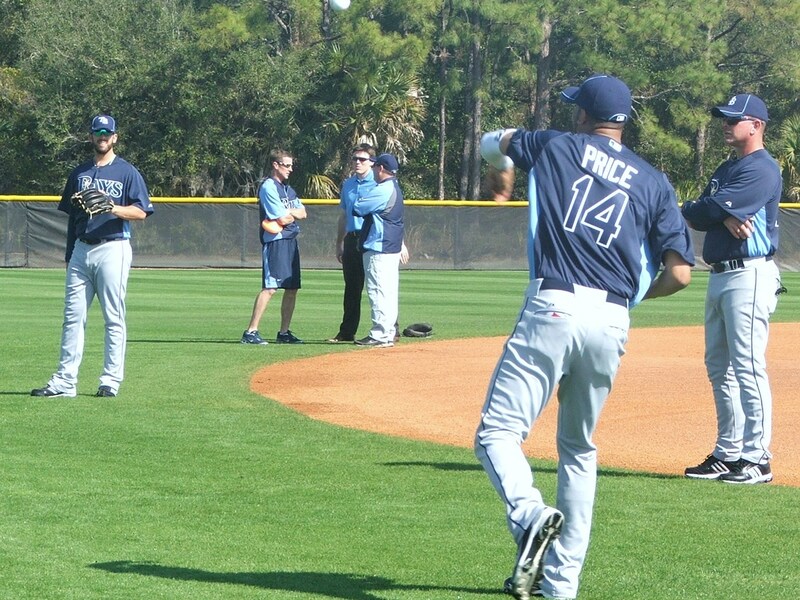 Looking forward to that first Grapefruit League game on February 26 in Port Charlotte. Hopefully in that contest towards the beginning Maddon will utilize the first of his multi-dimensional lineups for 2011. But today was all about the pop of the glove and birth of another season. Today an owner embraced the Tampa Bay area with enthusiasm and open arms while a few young pitchers’ left immediate impressions and glimpses into the Rays future/ A future Hall of Fame member came walking into the clubhouse like a kid in a candy store eager, willing and happy to be there while teammates assembled outside mingling and meeting each other for the first time. 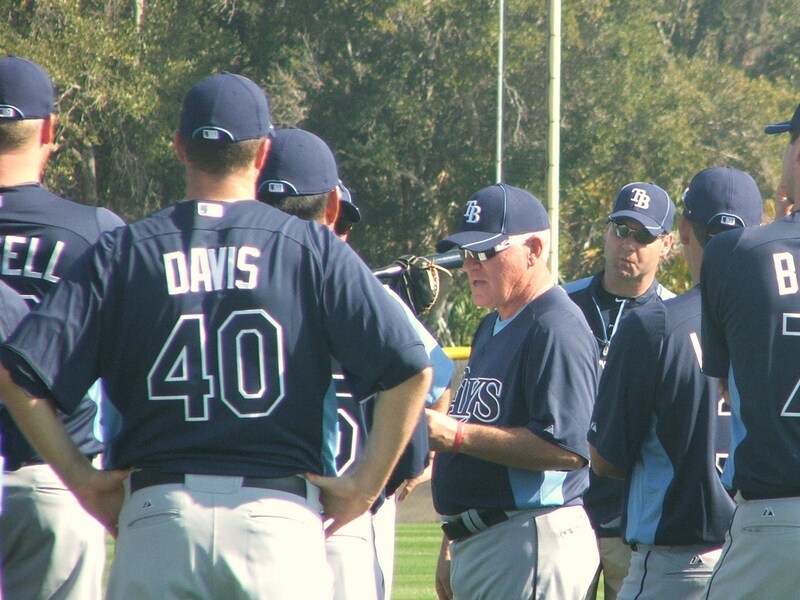 It was a day of meetings, first greetings and a first glimpse into the 2011 mind of Maddon. 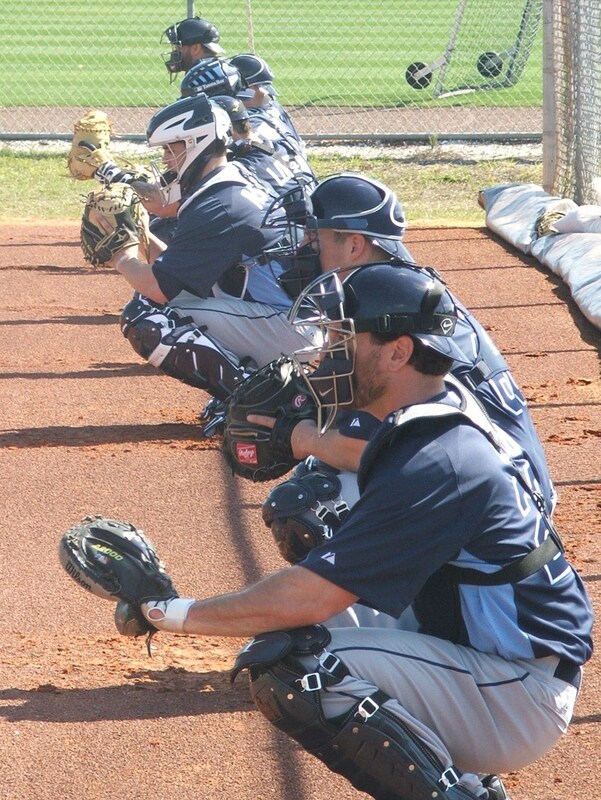 It ain’t nothing but a Rays Spring thing. 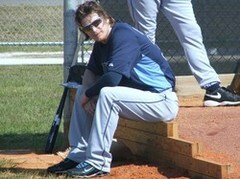 I agree with Jeff, it must be great being in FL (or AZ) during the spring training. Lots of nice pictures. And I’m glad to see that Zim is back for another year, I see him in that last picture. I love living in the South, especially at this time of the year. Within an hour of my home I can visit so many MLB teams Spring Training site. Heck, the Phillies and Blue Jays site is closer to my house than Tropicana Field. The Orioles, Yankees, Tigers, Pirates and Red Sox are all around an hour’s drive (for better or worse). But an inique gem, the enitre AL East actually plays so many game against each other in March that there are no surprises come the regular season…and that can be a great thing. 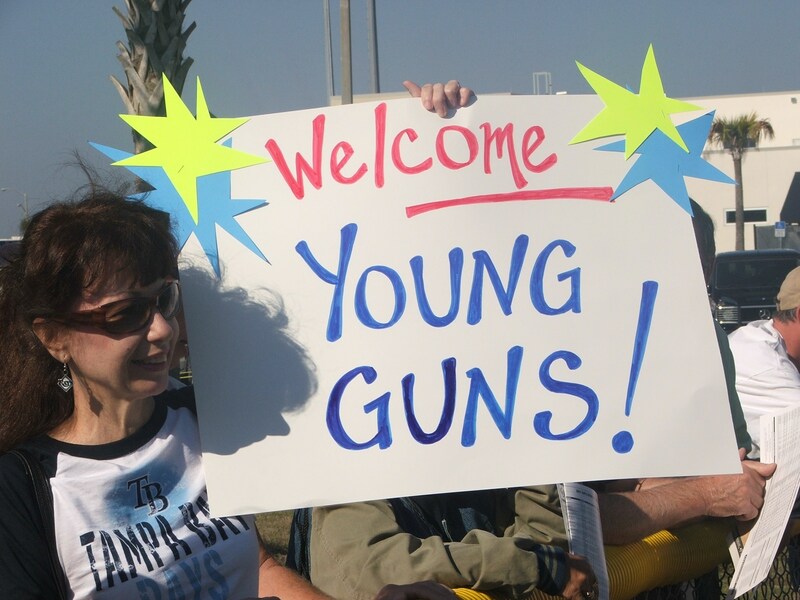 Very exciting that you were there for the first day. 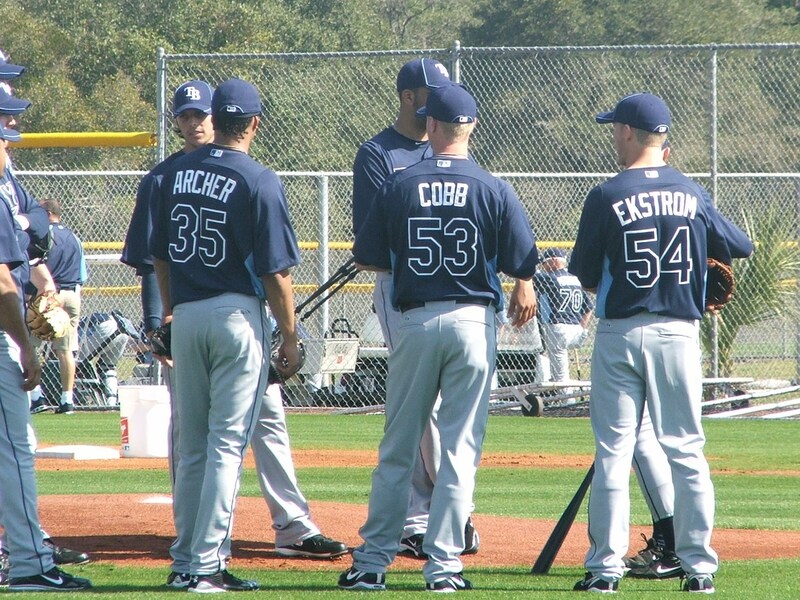 Must have been a thrill to see everybody in uniform again, plus the new guys! That must have been a blast. It’s a shame I couldn’t make it, but I will probably take a stroll that way this weekend. I was sooo happy when we finally secured a team for this region. Finally baseball of the MLB variety would be played in Tampa Bay past April 1st. Sure we have the maturing minor league system teams, but it was not the same. Zim actually has been a family friend for a long time. I used to change his oil and gas up his car at my father’s former gas station ever since I was 7 years old….That is where I got my work ethic. I actually think of it as a holiday. I celebrate afterwards with the yearly chicken wing salute with baseball friends. Was cool to see Manny walk in that day, plus see some of the hot minor leaguers we got in our trades this off season. Going to be fun this season. I am already giddy with excitement. I am the guy who can have fun with a red rubber ball and a wall…for days..
Was a great time. Got some great photos, got to welcome a few new faces, and got a head nod and conversation with the ManRam himself….All I need now is hear Johhny Damon say “what’s up dude”….and it will be perfect. Oh how fun to be there greeting your boys of Summer Cliff! Wish I could be with my boys already but I got 8 days more before we head to AZ. Met Gabe Kapler at the Save the Bay, day two of the Dodger Caravan. He was real nice. We talked about the high school he atended here in the Southland, cleaning the beach area and baseball. It is always the highlight of my Spring. Kapler was a great Ray. One of the most intense physical fitness guys I have ever seen on a team, and probably still has less than 3 % body fat(guessing here). Kaps is one of those guys that can help you when you least expect it. Double-R ~ The pics are spectacular. And you know me, I really want Sternberg and the area to succeed. Happy “Holiday” to you Sir! Enjoy the days. This is the time of the year I always wait for. When everyone, even Yankee and Red Sox fans are in a great mood and waiting for it all to become ” official” again. Clock is tikcing faster with every moment, and in a selfish move, I do not want the season to start….because then it will be the end of Spring Training….and the pressure only gets more intense.